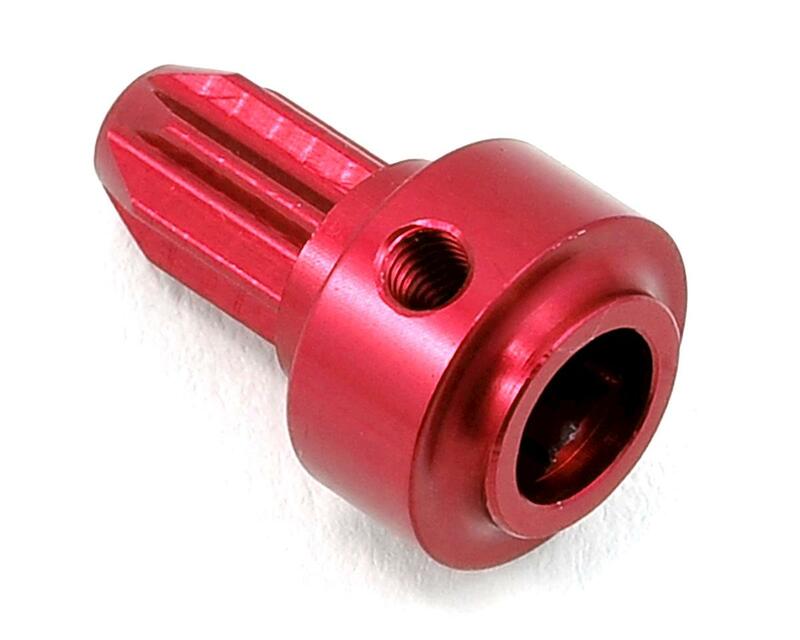 This is a ST Racing Concepts CNC Machined Aluminum Center Drive Shaft Front Hub. 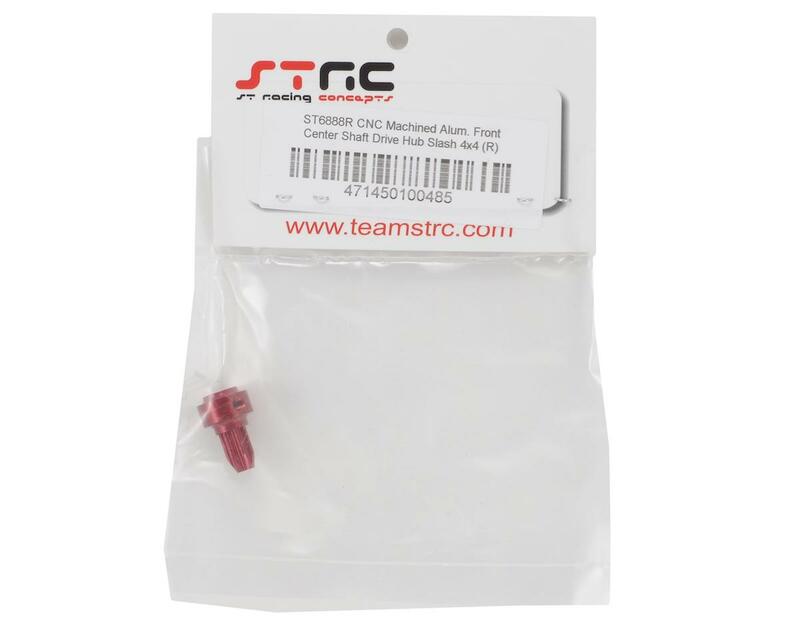 Listening to feedback of many Traxxas Slash 4x4 owners, whom all shared a common problem with the stock plastic center drive shaft front hubs snapping under heavy power loads, ST Racing Concepts has now produced a CNC Machined Aluminum Center Drive Shaft Front Hub to help provide more durability to this weak area of the truck. The aluminum front hub will be much more durable than the stock plastic piece while maintaining a light weight to ensure acceleration and performance does not suffer.